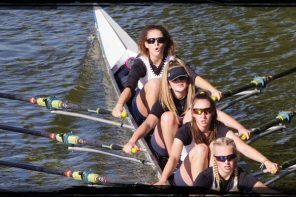 Henley Rowing Clubs Junior Women’s squad raced to 9 victories at the Hampton Head on Saturday. Racing downstream along a 3km course, the Henley crews competed across a variety of boat types including two eights races. The Hampton Head attracts all the top junior rowing clubs and rowing schools in advance of the major Head races in March, the Schools Head and the Womens’ Head of the River race. The WJ18 eight was racing against 11 other boats including fierce competition from Headington and Lady Eleanor Holles School Boat Clubs, and finished a commendable second some 7 seconds behind the top boat from Headington. In the WJ18 coxless four, the Henley girls rowed to win against 5 other crews in a time of 9 minutes and 50 seconds. In the WJ16 races, Henley entered crews in 5 events. In the eights, the Henley girls rowed into second place behind Marlow. In the coxless fours, they rowed to victory and also took third position in the coxed four boat. 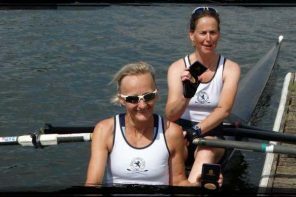 The double and pair rowed to victory in their respective races. In the WJ15 events, the Henley girls won all three races entered. 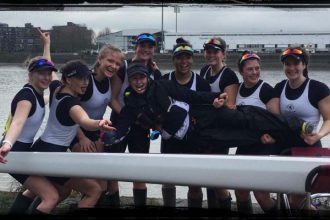 The WJ15 eight took a victory in commanding fashion against 11 other boats, putting Lady Eleanor Holles and Headington School boat clubs into second and third positions, with a win in 9 minutes and 16 seconds. In the coxed quad and coxed four, the Henley girls took further victories over Lady Eleanor Holles School boat club. The younger girls in the WJ14 and WJ13 events demonstrated their competitive edge with two victories in the coxed quads events. 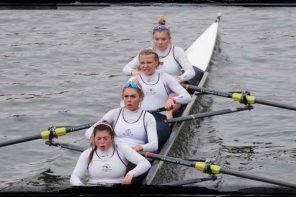 The WJ14 quad of Jess Arlett, Felicity Parfitt, Sophia Hahn, Livia Petersen and Esther Morgan as cox won, closely followed by the quad of Emma Gray, Maya Andrews,Phoebe Fletcher Amelia Crick and Emeline Warner as cox in third place. In the WJ13 coxed quad event, Henley girls took first and second place. In the Junior Men’s events, the J14 coxed quad took a commendable third position in an extremely busy and competitive field of 22 other crews.